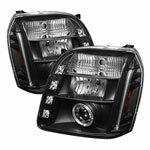 AFE Power 54-11752-1 - aFe Power MagnumFORCE Stage-2 PRO DRY 5R Intake Systems; GM Silverado/Sierra V8 GMT900; 2009-2012. 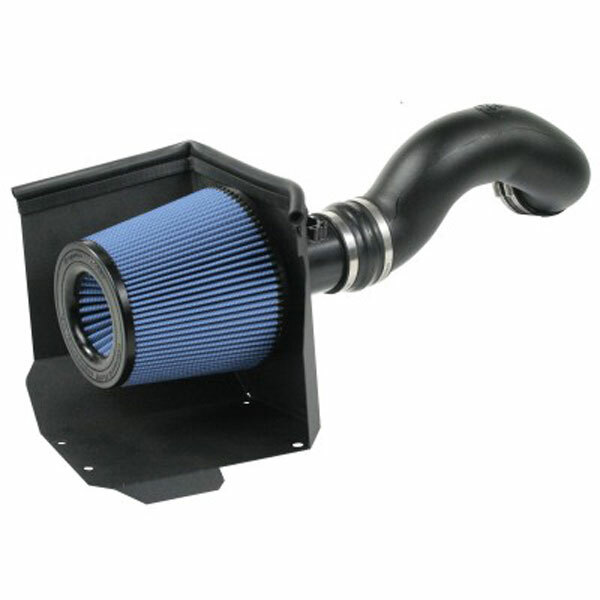 Enclosed in a durable 18 gauge, powder-coated heat shield; this air intake system features a massive 9" base x 8" height filter with a 5 1/2" flange washable/reusable conical air filter that improves airflow for increased horsepower and torque. This intake system also features a heat-insulating molded plastic tube that replaces the stock intake tract attached to a 3-angle adaptor with a built in mass air flow sensor pad that directs increased air flow with improved volumetric efficiency for maximum performance. One-piece heat shield requires little or no assembly and the filter is constructed with 100% polyurethane for long life and multiple cleaning cycles. Does not fit GM 2500/3500 with mechanical fan in 09-10. PRODUCT WARRANTY aFe warrants our products to be free from manufacturer’s defects due to workmanship and materials. The warranty period begins on the original invoice date and covers the applicable period listed below. This warranty applies only to the original purchaser of the product and is non-transferrable. Proof of purchase of the aFe product is required for all warranty claims. 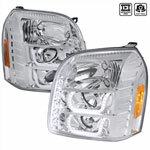 Warranty is valid provided aFe instructions for installation and/or cleaning were properly followed. Proper maintenance with regular inspections of product is required to insure warranty coverage. Damage due to improper installation, abuse, unauthorized repair or alteration is not warranted. Incidental or consequential damages or cost, including installation and removal of part, incurred due to failure of aFe product is not covered under this warranty. All warranty is limited to the repair and/or replacement of the aFe product. Most Warranties Duration is 2 Years. See AFE for details regarding specific Warranties and Duration. History and information about AFE Power and their products. You can feel confident when you choose an ADVANCED FLOW ENGINEERING (AFE) part because it is backed up by a company that has been in the business of creating automotive aftermarket performance parts since 1999 and their factory and headquarters are right here in the USA in Corona, California, with two substantial locations there, so they are here to stay and will be there if you need them. 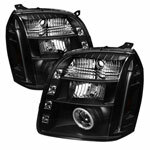 They originally opened the company to provide a much needed high performance aftermarket air filter and then later designed and manufactured products that include air filters, air intake and exhaust systems for most late model cars and trucks. They are responsible for introducing diesel fluid filters, filters and intakes for power sport vehicles, intercoolers for diesel applications. They were not finished yet and joined the differential cover and transmission market, released a new turbocharger and the Scorcher Programmer product line. Because AFE knew that individual driving situations required an air filter peculiar to a given situation, they designed three versions of their air filter, the PRO 5R, PRO GUARD 7 and PRO DRY S to be sure they were meeting all your driving needs, with the Pro 5R being an oiled 5-layer media, the Pro Guard 7 being an oiled 7 layer media design and the Pro Dry requiring no oil. These air filters are a simple way to improve your car’s performance and if you are ready to make the change away from the factory restrictive air filter and upgrade to a high-flow aftermarket filter you might want to consider the AFE short ram intake system, designed with a shorter inlet length that installs easily under your car’s hood. And yet for a more aggressive option, consider an AFE cold air intake system to l reduce the air temperature and increase airflow by removing the restrictive air box installed by the factory and replacing it by tubes that give a straightforward flow of air thus resulting in an increase in horsepower. From the information mentioned above, it is evident to the team at LMPERFORMANCE that AFE does not just sit back and do the same old thing but they are constantly striving to improve and that ingenuity gets passed on to you the consumer in the guise of better aftermarket parts for a better performing car. The result of all this is over 2,500 applications that were all developed in house and best of all are quality tested with the company’s DYNOJET and flow bench tested so that you can feel assured you are getting a premier quality product. A review of the myriad of Advanced Flow Engineering parts on the LMPERFORMANCE web site will convince you that this is a company worth considering when it comes to aftermarket exhaust parts for your car whether it be something as simple as an improved air filter or as dramatic as a change to a cold air intake system. The choices are there and you will be assured of a competitive price and free shipping when you order from LMPERFORMANCE and AFE. 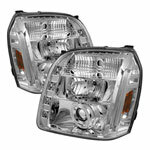 Below are other popular parts other customers have purchased for their GMC Yukon.